Casey Han's parents, who live in Queens, are Korean immigrants working in a dry cleaner, desperately trying to hold on to their culture and their identity. Their daughter, on the other hand, has entered into rarified American society via scholarships. 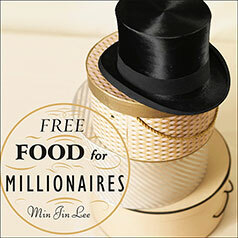 Free Food for Millionaires offers up a fresh exploration of the complex layers we inhabit both in society and within ourselves and examines maintaining one's identity within changing communities. and contrast that could kill a chameleon, but Lee pulls it off with conviction."" ---The New York Times Book Review"